Packaging Operations should be used when you want to transfer your finished blends to finished inventory or add items to finished inventory. They are used to record the transfer from bulk product into bottle and record any additives or packaging items used, such as bottles, caps, labels and cartons. The packaging operations also allow you to track lot code information. The Packaging Operations list works in the same way as all the other major lists in Vinsight. You can search for particular packaging operations by using the search box located next to the ‘New’ button near the top of the screen or the advanced search button directly below that. Packaging Operations can be planned in advance to create a schedule for you or your staff to follow and implement. Simply create a packaging operation using the instructions detailed below, but ensure you put the date you are scheduling the operation for, in the Date field. The operation should be ‘saved’ but not ‘updated’. 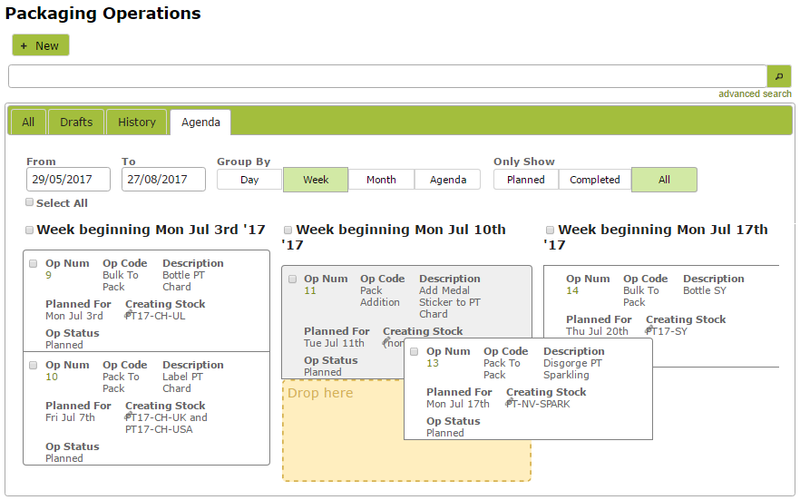 A quick look at the ‘Agenda’ tab will detail all the packaging work scheduled for a particular time period. You can also adjust the schedule from this view. You can drag and drop the operations to move something forward or backwards. The date would automatically change to reflect the day, week or month it has been dragged to. 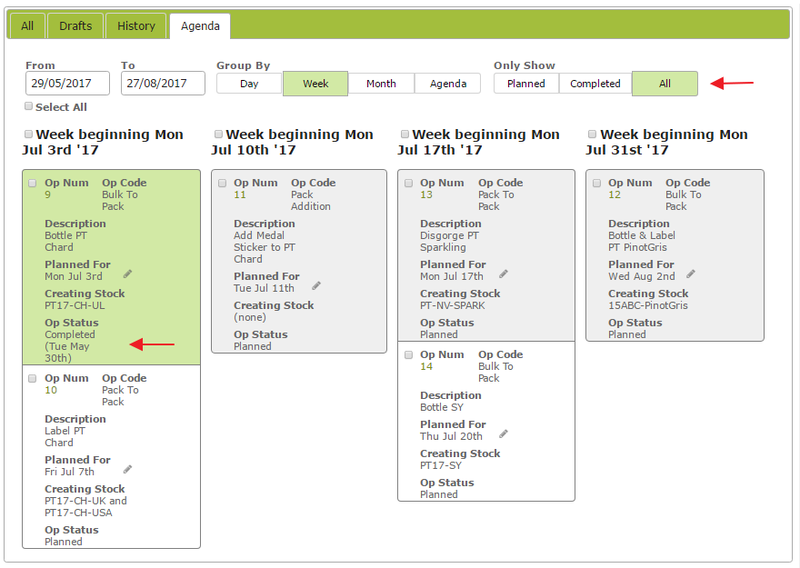 Alternatively, you can edit the planned date directly by clicking on the ‘Planned For’ date and selecting a new date from the drop down calendar. The operation will then move to the column that reflects the new date. Once the planned work has been completed. remember to ‘update’ the operation. This will execute any movements of stock and mark the operation as completed. 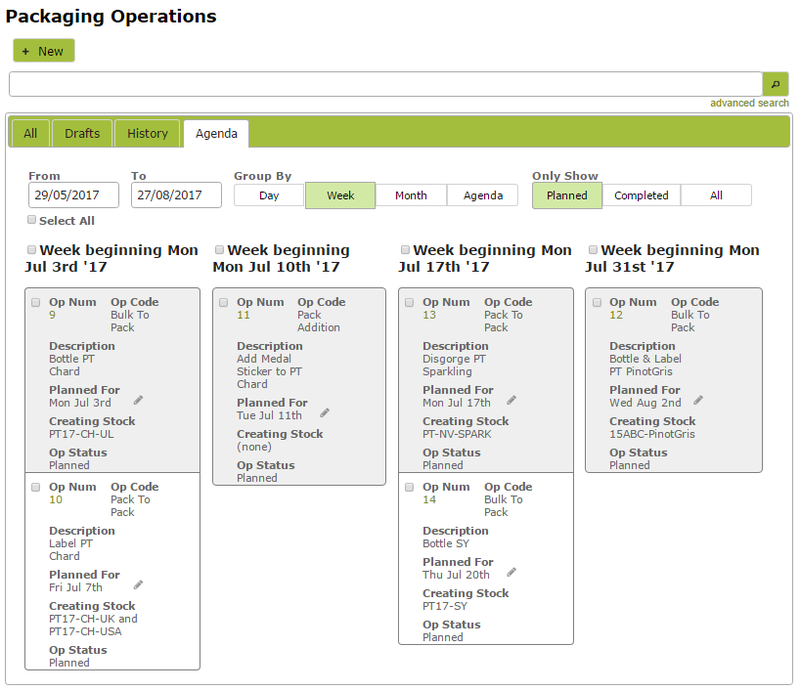 To view both planned and completed operations within a time period, simply select ‘All’ on the ‘Agenda’ view. Here we have updated Op Num 9 (Bottle PT Chard) and it is now shown as ‘completed’ on the ‘Agenda’ view. To create a new Packaging Operation, click on the “New” button at the top of the Packaging Operation List. You will be taken to an empty Packaging Operation page. The ‘Bulk to Pack’ is used when you are transforming bulk product into packaged product, for example bottling or, if completed together, bottling and labeling. This section describes the product coming out of vessels. It works in exactly the same way as the Source Vessels section of a Winery Operation. Just pick a vessel from the drop down list, enter the transfer amount and the final volume will be calculated automatically. To save the line, simply move off that line by clicking outside it, or on a mobile device, by hiding the on screen keyboard. This section describes the Finished Wine Stock Items that are being created by the Operation. Choose an item from the drop down list and then enter a “creating” amount. The units you are working in for each item will be the default Units In Stock unit of measure. Here you can also split items out by Lot Code. You are unlikely to need this section when doing a ‘Bulk to Pack’ as any ‘non-packaging’ additions (such as yeast or PMS) should have been added using a winery operation while in tank. See Transfers, Adjustments & Additons. This section works in a similar way to the additives area of a Winery Operation. 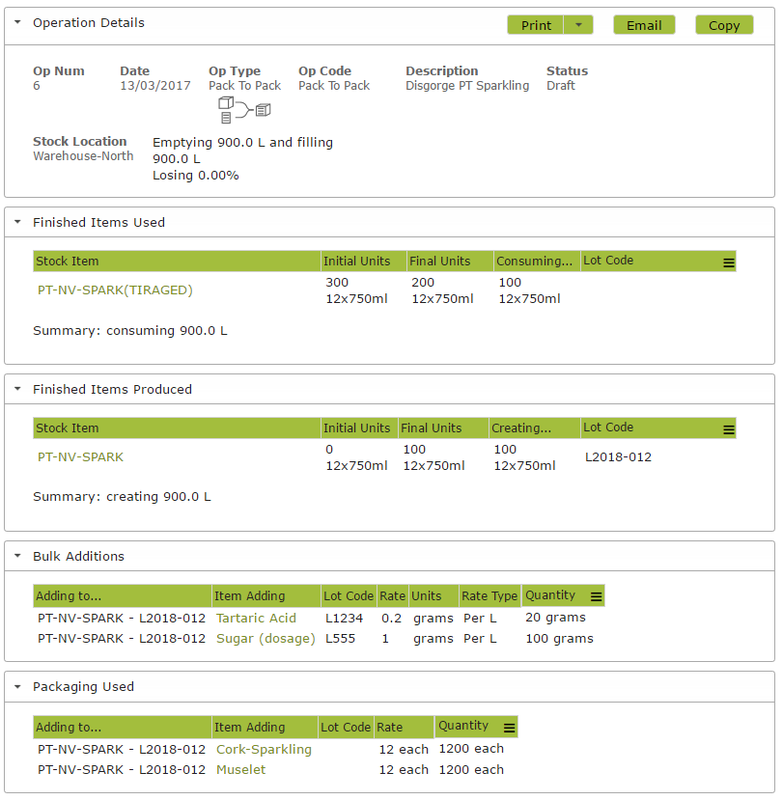 Any items you have detailed in the Default Components section of the stock item, such as bottles, caps and cartons will automatically appear here. (See Stock Items/Bill of Materials). You can edit or add to this list as required. If this box is red, that indicates that the percentage gain or loss is outside of what is defined as “normal” by the Operation Code. 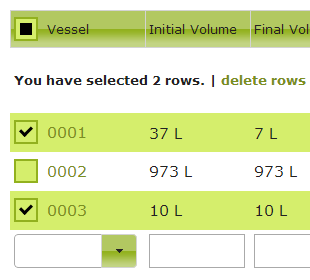 “Vessel To Pack” has a variance of +/- 2%. This means that if you are gaining or losing more than 2% of the wine, you will see this box. This will also mean you will need to supply a Variance Reason when you try to update the operation. The ‘Pack to Pack’ operation transforms a packaged stock item into a new packaged stock item. You would use this if you are, for example, starting with an unlabeled bottled product and transforming it into labeled bottled product. A Pack to Pack (Labeling) operation should be completed in much the same way as a Bulk to Pack. Areas of difference are set out below. 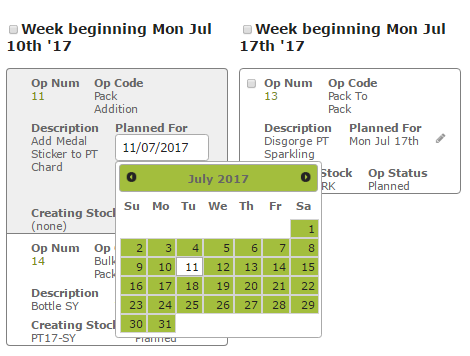 Select the ‘Pack to Pack’ Op Type, complete the description and change the date if you need to. Choose the packaged item you are dealing with from the Stock Item drop down list provided and, if necessary edit the initial and final units. 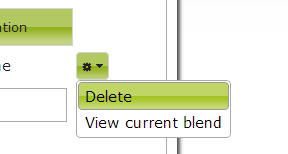 Then select the Finished Items Produced and again edit units as required. In the following example, we are using the 492 cartons of unlabeled PT17 Chardonnay (that we bottled in Packaging Operation 3) and transforming it into 100 cartons labeled for the UK market and 392 cartons labeled for the US market. You probably wont use this section during labeling. However, if using a ‘Pack to Pack’ operation to, for example, add dosage ingredients to bottled sparkling wine, this is where the ingredients would go. See Pack to Pack (Disgorging) . As with ‘Bulk to Pack’, if you have detailed default items used in the Default Components area of the Stock Item, such as front and back labels, these will automatically appear here. (See Stock Items /Bill of Materials). You can edit or add to this list as necessary. If no default items appear, simply use the drop down menus to add the packaging items being used. Here you would select a ‘Pack Addition’ as the Op Type. Choose an item from the drop down list. There will be no ‘Finished Items Produced’ section to complete as you are simply making an addition to an existing Stock Item, not creating a new one. You will not need to complete this section. Select the item you are adding and the stock item you are adding it to from the drop down lists provided. There are two ways to delete line items from tables in Packaging Operations. When you save an operation, it is still just in a draft format. None of the changes you have specified will actually happen until you press “Save and Update” at the bottom of the page. This completion is referred to as Updating an Operation. When you update an operation, the wine will be removed from the tank, finished wine stock item inventory counts will increase, and any packaging additives used will be taken out of inventory. If working on a long or complicated draft operation, you can save as you go by selecting ‘Save and Continue Editing’ from the ‘Save’ drop down menu. Select ‘Save and Add New’ if you wish to save the draft and proceed straight to screen to enter a new operation. If you have updated an Operation and you need to edit some of the details, then you will have to undo the update before you can make changes. This can be done by pressing the “Undo Update” button at the bottom of an updated Operation. You can assign two types of operators for any one job (if you have a premium subscription). To do this, go to the Operators section at the bottom of the operation and pick names from the drop down lists.